The Fall Harvest Festival at the Learning Gardens Laboratory (LGL) is an opportunity for Lane Middle School students, families, and the local neighborhood to celebrate a seasonal abundance of locally-grown food, and 10 years of productive partnerships at LGL. Everyone is welcome and admission is FREE! The Harvest Festival will include games, garden related activities, garden tours, food, a raffle, a cider press, and special guests from PSU, the city of Portland, and Portland Public Schools. The Brentwood-Darlington neighborhood farm stand will also be open at LGL during the festival, where organic produce grown on site will be available for the community. Join us Wednesday Oct 21, 2015 from 3:30-5:30 at 6801 SE 60th Ave. 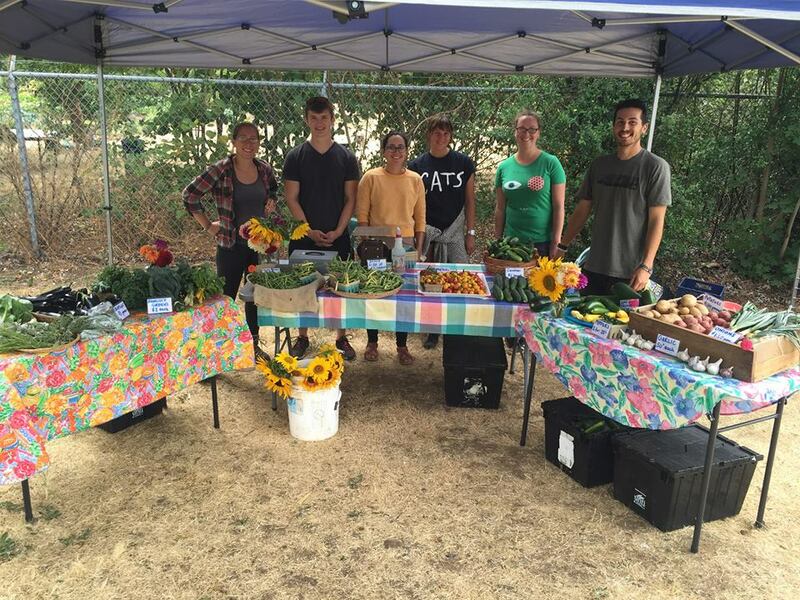 The Learning Garden Laboratory is a garden education program that is located at the 12 acre Green Thumb site in Southeast Portland in the Brentwood-Darlington neighborhood. The mission of the Learning Gardens Lab is to support academic achievement, leadership development, and a local sustainable food system by providing garden-based education for public school students and their families, university students, and community members. Established in 2005, LGL exists as a unique partnership between Portland State University, Portland Public Schools, The City of Portland’s Parks and Recreation, and Oregon State University Extension Service. We aim to cultivate a sustainable future through garden-based education. For more information about LGL click here or contact Kimberly Kovac, PSU Faculty Coordinator of the Learning Gardens Laboratory. This entry was posted in Learning Gardens Lab, News and tagged Harvest Festival, Learning Garden Labs, LGL, PSU by Brentwood-Darlington Neighborhood Association. Bookmark the permalink.